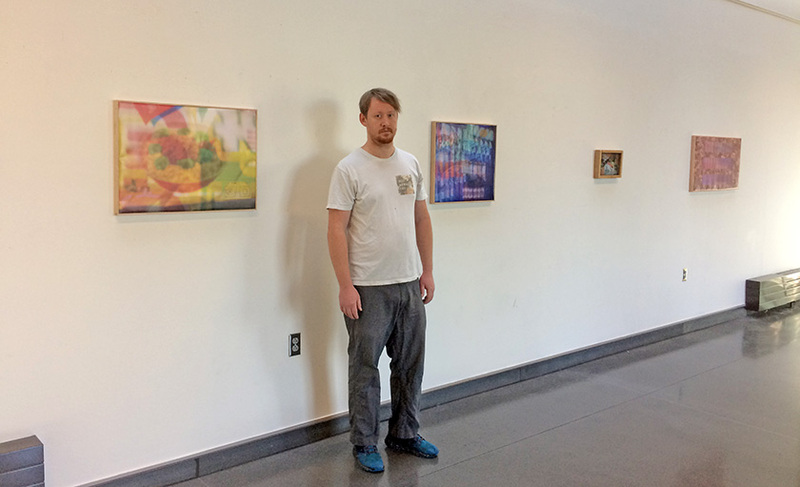 “Vinyl Arcade,” a solo exhibition of paintings by advanced painting student David Maxwell Stewart, is on display through December 14 in the Third Floor Gallery of Maier Hall. Dialog regarding the intersections of consumption and reflection inform his work, including “schlock television and participatory journalism, budget deficits and postmodern literature.” He reconsiders media, from vinyl banner as canvas to computer as palette. “Digging for answers about the endgame of consumer nirvana leads to the same hole from which the phenomenon sprang yet I'm going to keep digging,” he said. For more information contact Michael Paul Miller at mpmiller@pencol.edu .